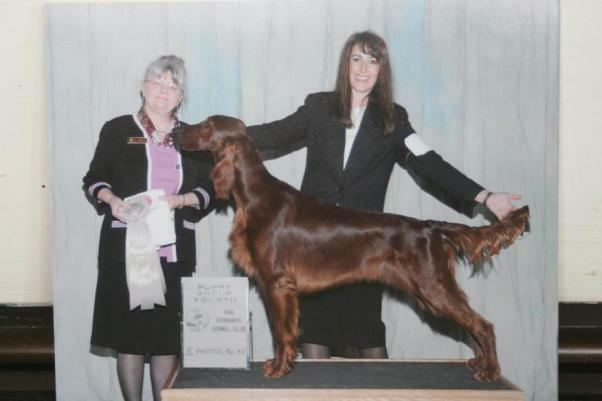 He was major pointed from the puppy classes, has won multiple Best Puppy awards, Best in Sweeps, and Best opposite in Sweeps. 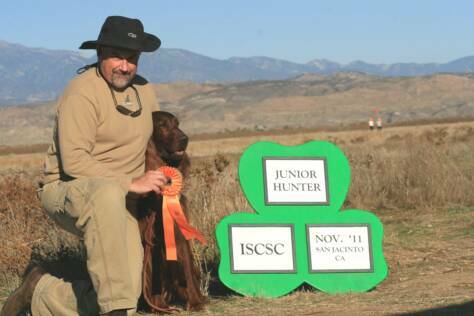 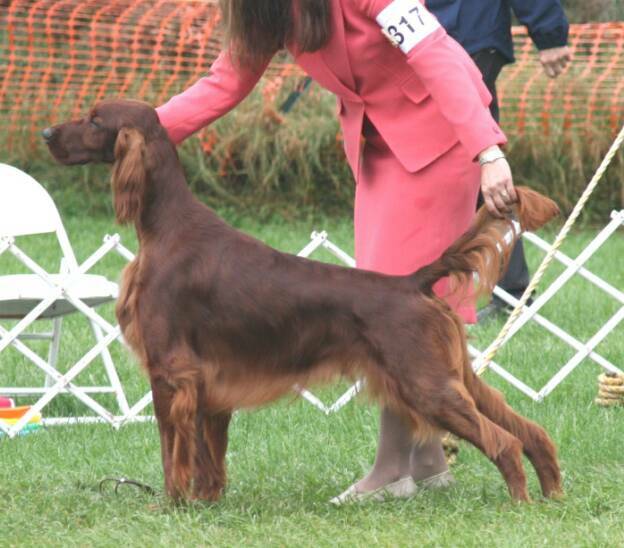 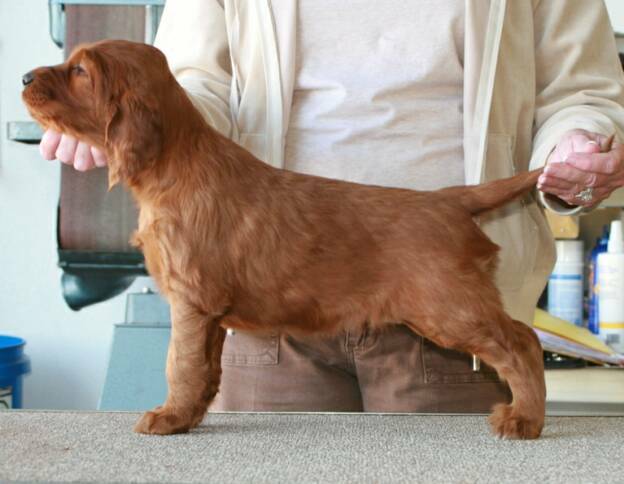 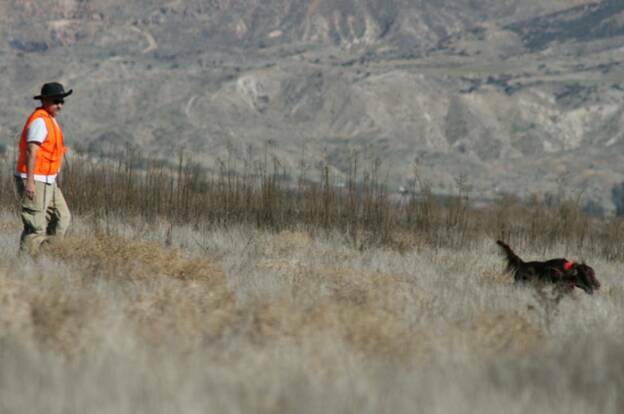 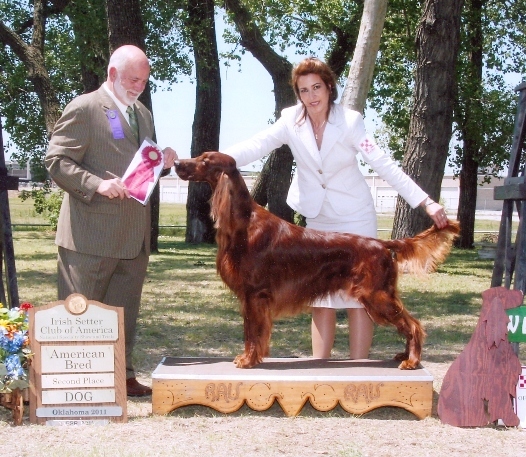 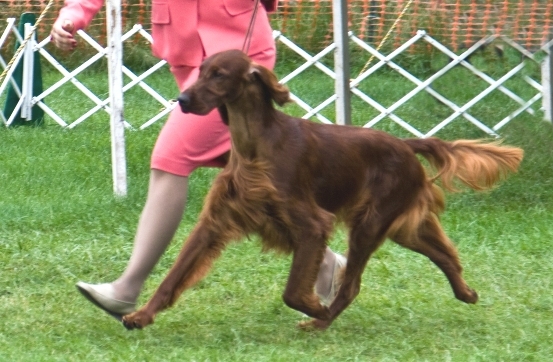 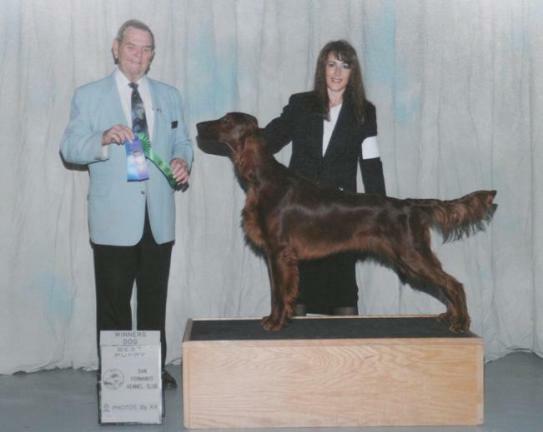 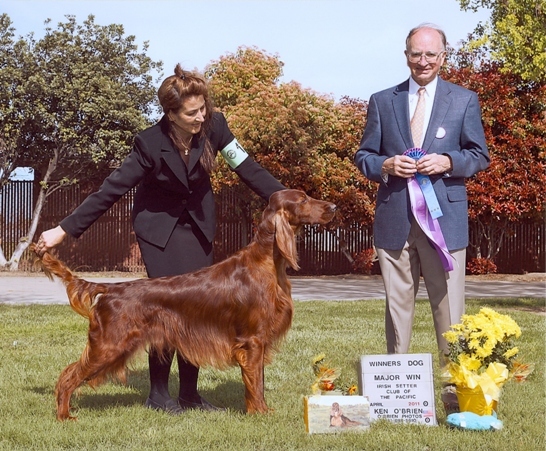 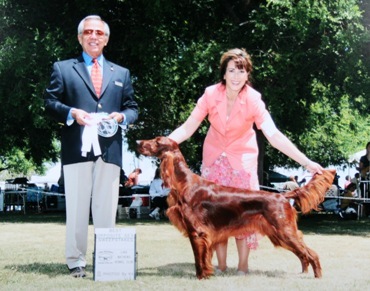 He placed in the regular classes at 2009 and 2011 Irish Setter Club of America National Specialties. 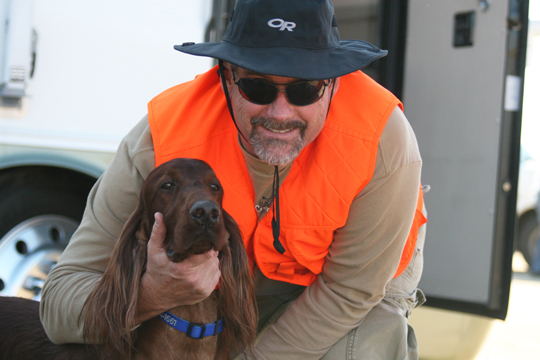 Drew is actively pursuing titles in Hunting, Rally and Obedience. 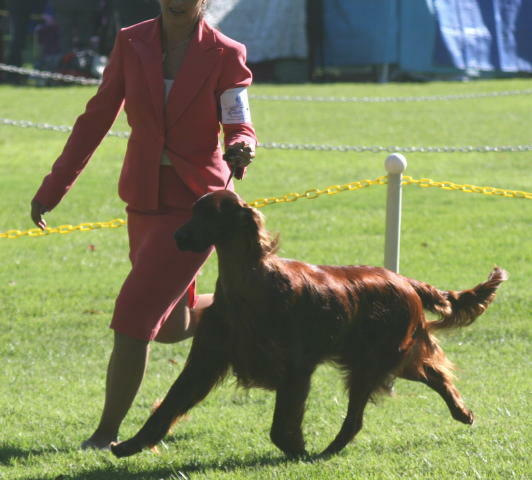 He is a do every thing dog. 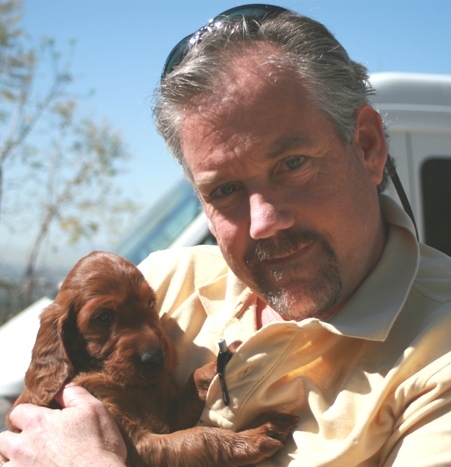 The most incredible aspect of Drew is his personality - our clown - our cuddler. 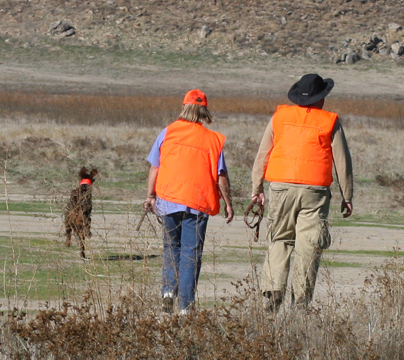 Life is just more fun because Drew is in it! 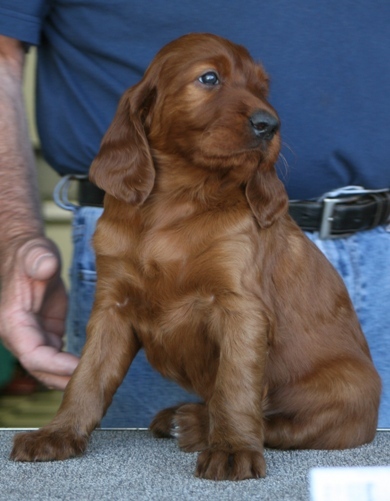 We will be breeding Drew to Monet in the very near future. 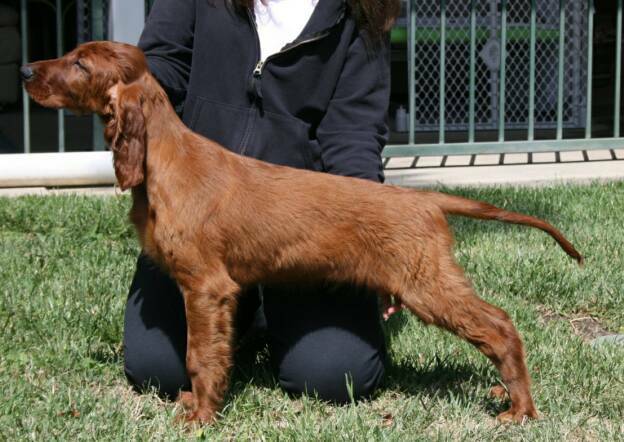 January 2009, 11 months old. 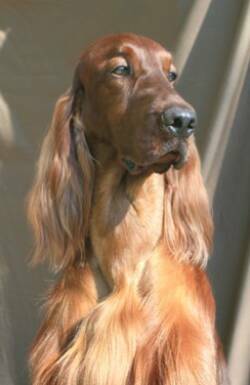 February 2009, 11 months old. 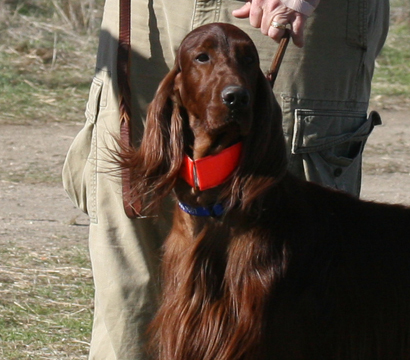 April 2009, 14 months old. 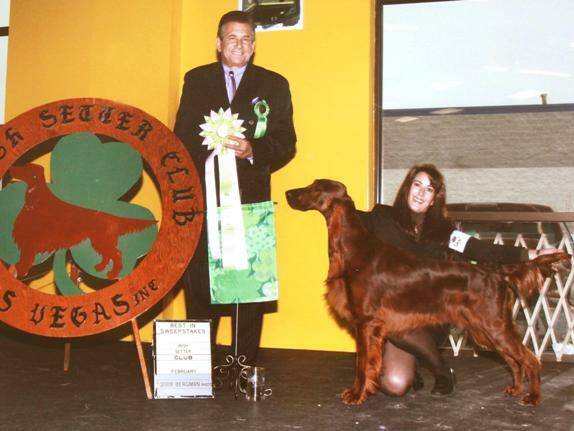 Placed 4th in 12 - 18 month dog, 16 months old. 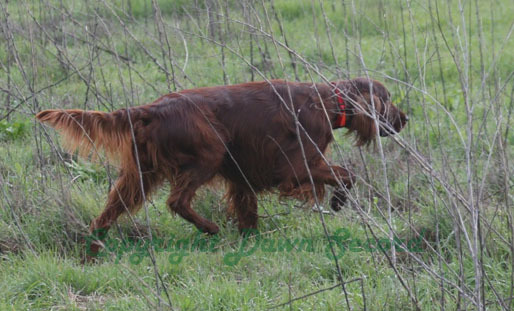 Some candid shots of Drew when training towards his junior hunter title. 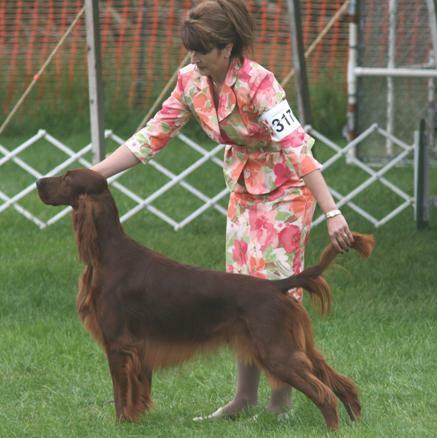 Dawn teaching her nephew, Brandon, how to show dogs. 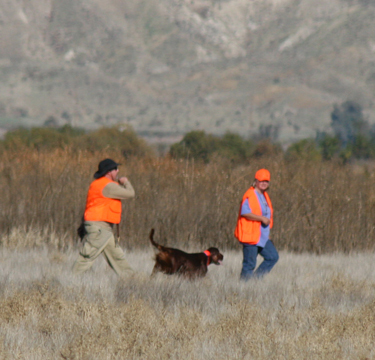 Brandon and Drew had a lot of fun together. 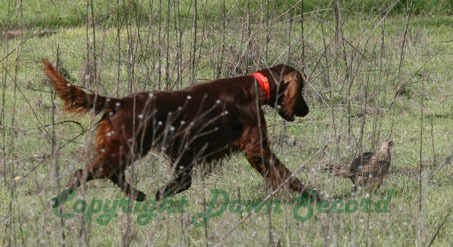 Now, how do we get the kid out of Texas to come work the dogs for us???? 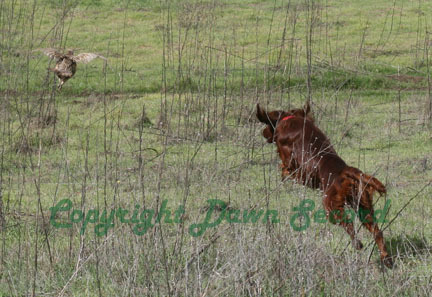 Drew loves the field work and this was only his second time out.